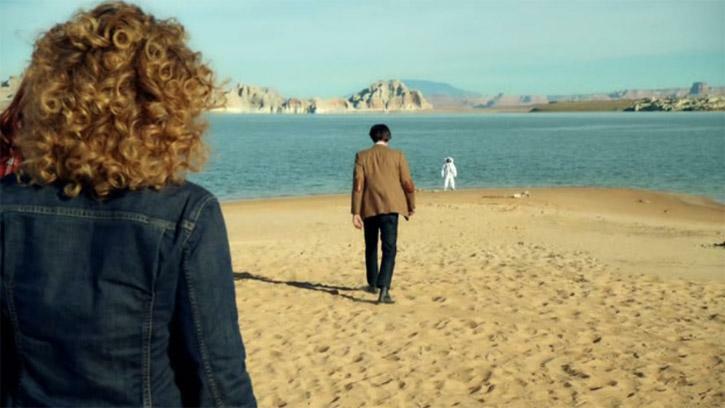 Doctor Who: The Moffat Scripts – THE CURSE OF FATAL DEATH | Warped Factor - Words in the Key of Geek. 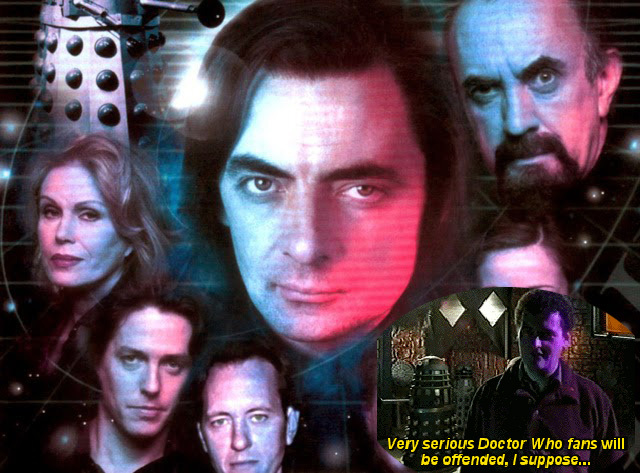 Dr. Moo concludes his look at the works of Steven Moffat. Over the last few months I have been looking back at all the scripts written for Doctor Who by soon-to-be-outgoing showrunner Steven Moffat. However I did make a point of ignoring a few of them. 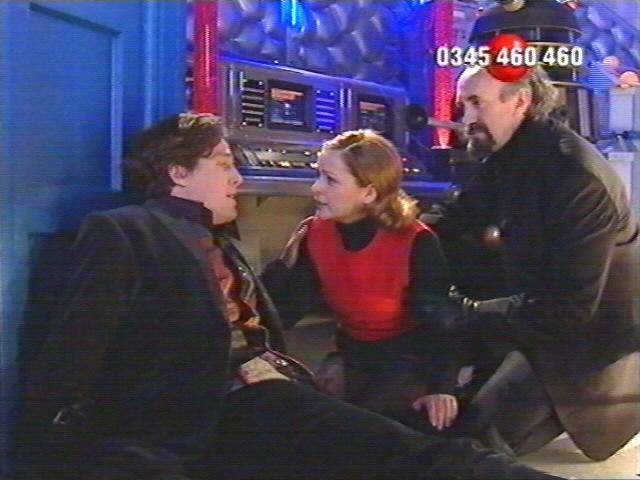 Not a single mini-episode got addressed and I also ignored was the 1999 parody The Curse of Fatal Death. But after a recent rewatch I could not justify that. “Why’s that?” I hear you ask. It’s because of how accurately it managed to predict and, dare I say, influence what Doctor Who as a show would look like after it came back in 2005 under Russell T Davies and later Steven Moffat. With that in mind how could I not conclude my look at The Moffat Scripts without examining just how much of a blueprint this so-called parody would be for the future of Doctor Who? In The Curse of Fatal Death we see an alternate Ninth Doctor has fallen in love with his companion Emma. The story begins with him announcing to the Master their intention to get married and even though the Doctor goes through a series of regenerations all of these new incarnations retain this romantic interest in her. One of the most frequent and divisive elements of the revived form of Doctor Who has been the Doctor exploring romantic links with other people. 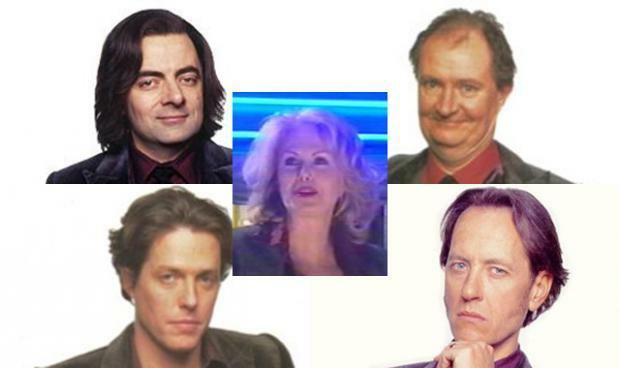 Most prominently among these has got to be the horrible Rose Tyler (may her name be cursed), but she’s not the only one. Moffat wrote The Girl in the Fireplace, which saw the Doctor falling in love with the French monarch Madame De Pompadour, and would later go on to deliver a 7-year story arc, that began in Silence in the Library, involving the Doctor’s complicated romance with River Song. 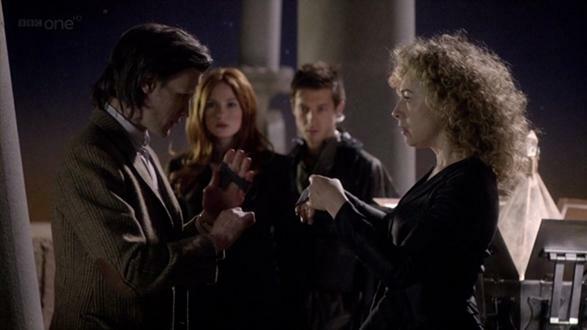 In A Christmas Carol the Doctor marries Marilyn Monroe off screen, and it was also Moffat who showed us the Doctor and Queen Elizabeth I getting married during The Day of the Doctor. The early scenes of The Curse of Fatal Death see the Doctor and Master continuously going backwards and forwards through time to bribe the castle architect in turn to set up and disarm various booby traps for each other. In this sequence Moffat shows the two Time Lords using time travel as a tool to help them advance their own ends. This is an example of what Moffat would introduce in Blink as “timey-wimey” and would continue to exploit on and off throughout his time as showrunner. And of course who can forget seeing the same conversation between the Doctor and Rory twice in The Big Bang with the second version putting the first one in context. 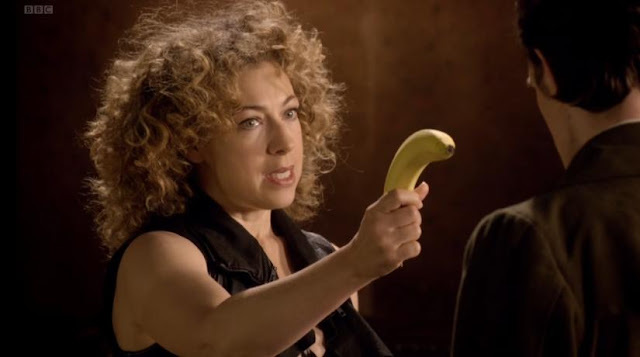 It also mirrors the comedy moments we would get on occasions, like in Let’s Kill Hitler with the “Hello Benjamin!” scene where Melody Pond tries to kill the Doctor and he keeps anticipating her next move so he can counter it. One of the best comedy set-pieces from The Curse of Fatal Death has got to be the Master falling into the sewers of Tersurus, described as being the biggest and most disgusting sewers in the cosmos. 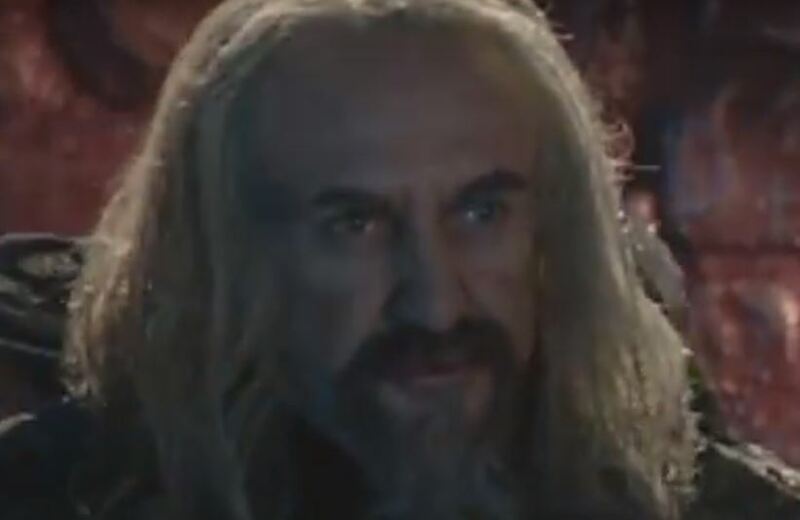 The Master ends up falling inside them… three times. He ends up spending a total of 936 years in there. Then in The Witch’s Familiar we saw the Master and Clara having to journey through sewers on Skaro that seem to have been inspired by these scenes, only what was previously played for laughs is here utilised as not just part of the plot but as its resolution. 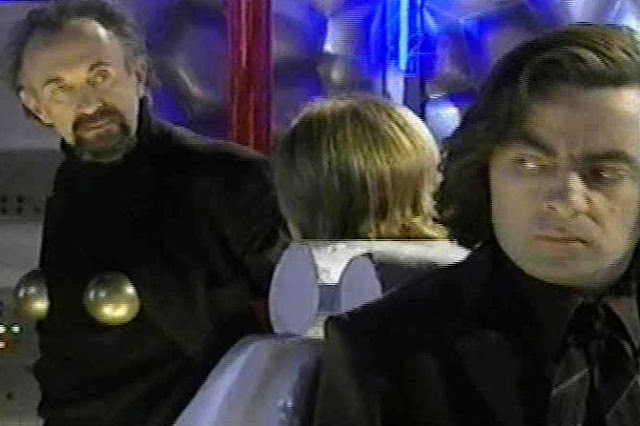 In The Curse of Fatal Death there are several times when characters answer Emma’s questions with “I’ll explain later” and then never do, it’s used as a running gag (and suspiciously similar to a scene from Timelash but let’s not go there). Everyone remembers series one and The Sarah Jane Adventures for the villainous Slitheen family from the planet Raxacoricofallapatorius. The thing we remember them best for? 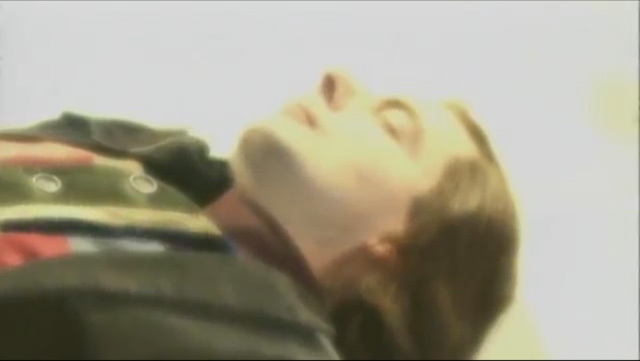 Farting. 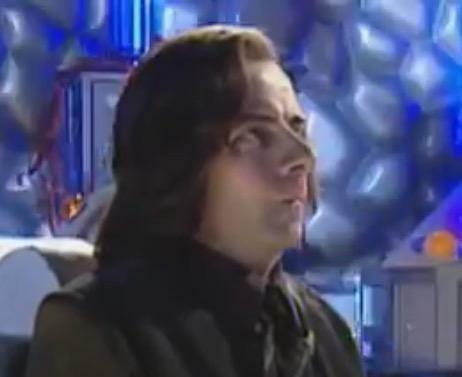 However the idea of making farting a key plot-point in a Doctor Who story was nothing new because it had been utilised in The Curse of Fatal Death where the extinct Tersuran race’s language consisted entirely of precisely modulated gastric emissions, in which both the Doctor and the Master are fluent. It’s using these farts that the Doctor and Master have a secret conversation, because the Daleks won’t detect it since they don’t have noses. For some reason Russell T Davies decided that the first original creatures to be revealed for the revived series were baby-faced monsters that farted every five seconds. He plays it for laughs and whether it worked is disputable. 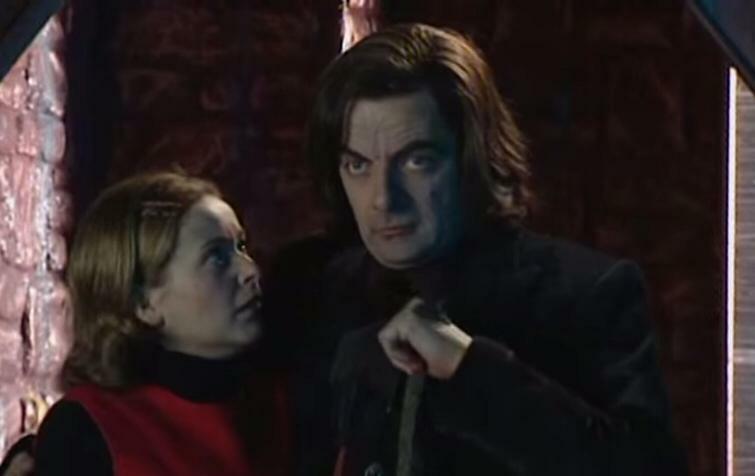 The last five minutes of The Curse of Fatal Death see the Doctor undergo a series of regenerations taking him from his ninth to her thirteenth incarnation with Rowan Atkinson, Richard E Grant, Jim Broadbent, Hugh Grant and Joanna Lumley playing them. Under Davies and Moffat we’ve seen the exact same thing happen in the “canon” series: John Hurt’s War Doctor, Christopher Eccleston’s Ninth Doctor, two versions of David Tennant’s Tenth Doctor and finally Matt Smith’s Eleventh Doctor. 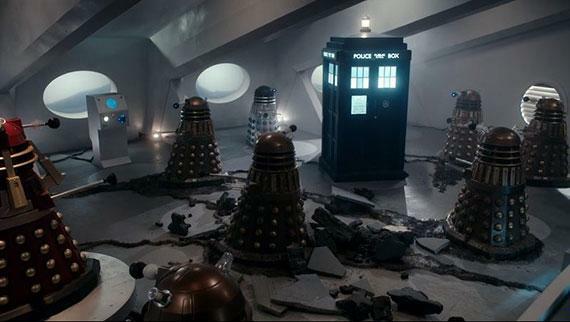 The Time of the Doctor establishes that these have used up all twelve possible regenerations between them, with that story seeing the Doctor granted more so that Peter Capaldi’s Twelfth Doctor could come to be. It’s not just the amount either, it’s also the effect used. 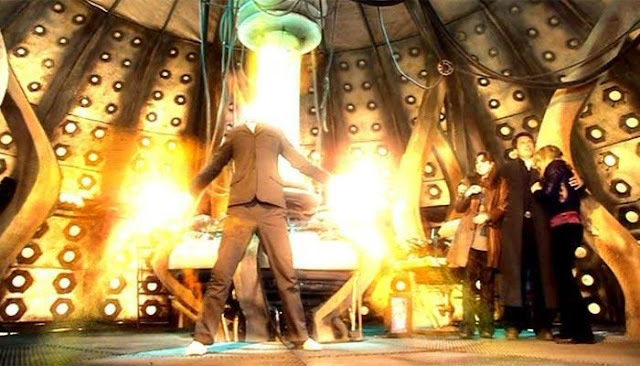 In RTD’s The Parting of the Ways the revived series introduced a new “gold dust” effect for regenerations – The Curse of Fatal Death had already used that exact same effect a full six years earlier! Davies and Moffat have both taken the concept that the universe would not survive losing the Doctor and applied it to legitimate Doctor Who. In Turn Left we see Davies re-imagine the events of the two preceding seasons with the Doctor not around to save the world from various alien incursions, gradually building up to the Daleks attempt to destroy reality being successful. The concluding scene of The Curse of Fatal Death taps into the controversial question of whether a female incarnation Doctor is possible by outright doing it! The alternate Thirteenth Doctor (though actually parallel to Matt Smith’s Eleventh) is played by Joanna Lumley in reference to an infamous rumour that she was in line to take on the role of the Time Lord during the 1980s. The thing to remember here is that the whole sequence plays the idea for laughs but seems suspiciously similar to what we’ve come to get used to in recent years under Moffat. In his very first scene the newly regenerated Eleventh Doctor examines his body and initially thinks he’s gone female. The Eighth Doctor was offered the chance to regenerate into a woman. The Corsair is said to have switched genders at least twice. We’ve seen both male and female incarnations of both the Master and the General. 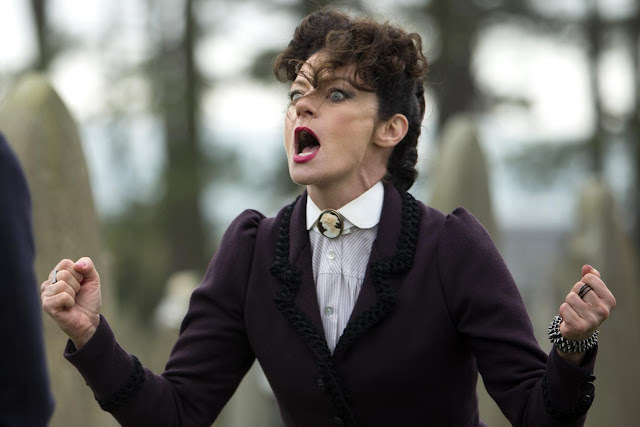 Regeneration can change your gender and The Curse of Fatal Death is where it first happened. 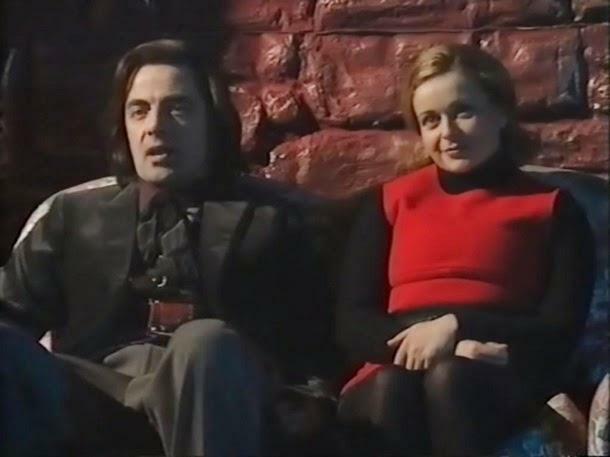 In 1999 when The Curse of Fatal Death first aired it was an amusing parody of a beloved show that was never going to come back. 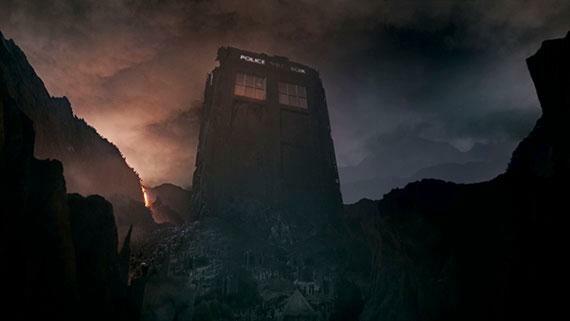 Watching it today we see the building blocks for what Doctor Who would later become upon its triumphant 2005 return. I think this is because a man who truly understood what Doctor Who is all about wrote it and that’s what made it work. It was a work that could get behind what Who is and so when the series came back and elements from this parody made an appearance it shouldn’t have come as a shock to anyone.